The Mayor’s Intern Fellows Program gives Dallas ISD high school juniors and seniors real world experience in a professional field. 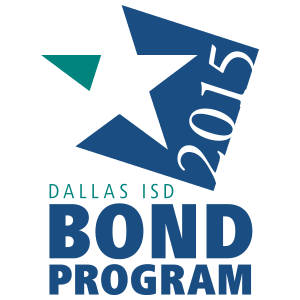 The Hub is spotlighting some of these Dallas ISD students participating in the program. 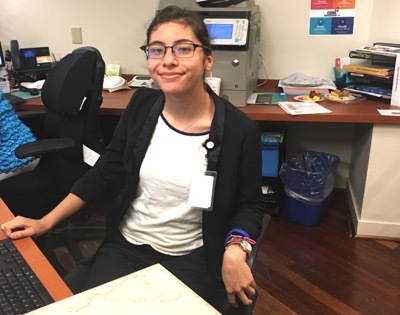 Today, meet Fatima Alonzo, a student at Sunset High School who is interning with Dallas ISD’s Human Capital Management Department. What is your role as an intern? As an intern, I am required to assist in projects that the Human Capital Management Department would like for me to assist in. As an intern, I have a bit of a communication role and a organizational role. What do you hope to accomplish through the internship? Through the internship I hope to enhance my communication skills and as well as confidence. I realize I need to be verbal as well as to experience what it is to be professional. What do you hope your career will be after school? After school I hope to pursue a job in the chemistry field. I would like to be one of three things: an organic chemist, chemistry teacher or a forensic chemist. What have you learned through the internship? Through this internship I have learned how to communicate and ask questions. I understand how important it is to be on the same page as others to get a task done right. I have also learned self management; I am not given specific times for breaks or lunch, so I am allowed to decide them on my own, which helps me learn more about my work ethic.